The Shooting Team for the S.D.F.A.S. Hollywood Glamour Ball. 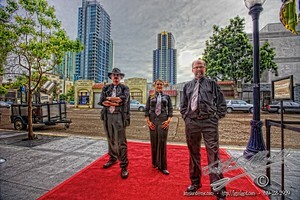 This is the team that worked together to shoot the San Diego Fine Art Society’s Hollywood Glamour Ball. We have different eyes, and see different things, together we can capture the heart and soul of anything. We have worked together over the past couple years on events, large and small. We are looking forward to our next gig.